Click here to view CV. Sleep duration and BMI in a sample of young adults. Body fat is differentially related to body mass index in U.S.-born African-American and East African immigrant girls. Ethnic variation in body composition assessment in a sample of adolescent girls. Invited commentary: on population subgroups, mathematics, and interventions. Dr. Katie Meyer is a nutritional and cardiovascular disease epidemiologist. Her research focuses on diet-related health behaviors and nutritional risk factors for cardiometabolic disease. She is a recent recipient of a Research Scientist Development Award from the National Heart, Lung, and Blood Institute (NHLBI) to study the gut microbiome, nutrient metabolites, and cardiovascular disease in the Coronary Artery Risk Development in Young Adults Study (CARDIA). 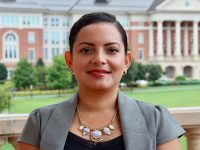 Maricela came to the Nutrition Research Institute (NRI) as an intern student from RCCC. She was hired in May 2018 as a research technician by Dr. Meyer. Her work involves the diet of rodents and primates. The research focuses on how the Gut Microbiome relates to health. Anju Lulla, PhD joined the NRI as a Research Associate in August 2018. She received her Phd from St. John’s University, NY, in Pharmaceutical Sciences with a focus in pharmacology. 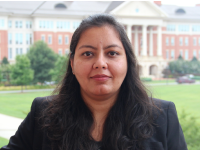 Prior to joining NRI, Anju was a research assistant at UNC Charlotte in the Bioinformatics Department. 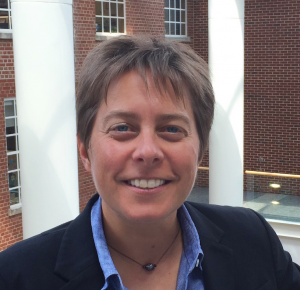 She brings with her expertise in bioinformatics and statistical analyses of genomic and microbiome data. She is working with Dr. Katie Meyer to study associations between nutritional metabolites, gut microbiome and cardiovascular health. Jon Shea joined the Nutrition Research Institute in the summer of 2017 as a research associate. 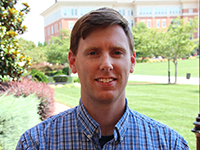 He is a graduate of UNC Charlotte’s Bioinformatics program. He has worked in several labs working on research in single cell sequencing studying the transcriptomic changes in yeast and c. elegans as well as plant metabolites using HPLC and mass spectrometry. He is currently studying the gut microbiome and its connection to cardiovascular health with Dr. Katie Meyer.